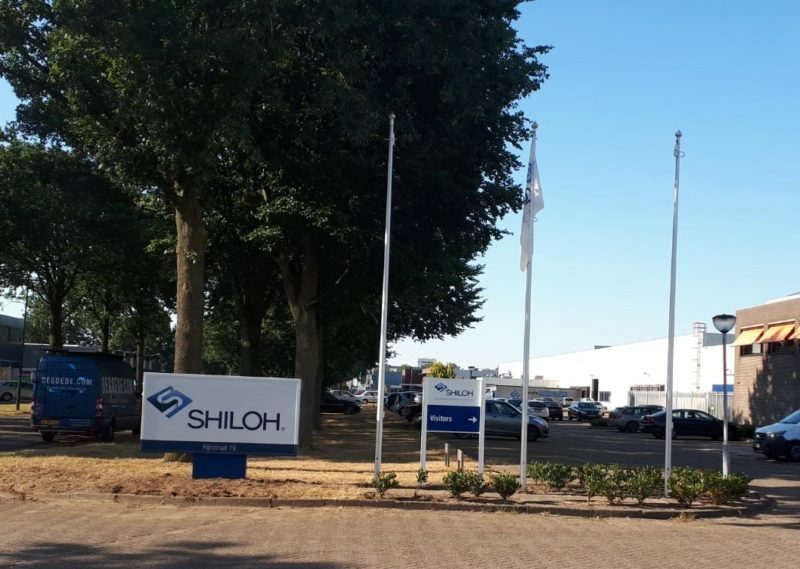 For Shiloh Industries we got to provide the office in Oss with new facade advertising, an advertising column, and signage. Shiloh is a global supplier of innovative solutions that focuses on light weight technologies that offer advantages for the environment and for the safety of the mobility market. The company designs and produces products in bodywork structure, chassis and propulsion systems and uses one of the broadest portfolios in the industry. The company has more than 4,200 dedicated employees with operational, sales and technical centres in Asia, Europe and North America. For Shiloh we’ve produced and mounted 4 illuminated facade advertising signs. This facade advertising is provided with LED lighting whereby Shiloh will also be easy to find in the dark. Above the expedition centre we’ve delivered and placed an aluminium frame with fabric. In addition to the façade advertising we provided Shiloh with signage. By means of placing various signs, the different entrances of the building are now even more easy to reach. Furthermore, we have placed a large advertising column at the street side. That way, Shiloh is also perfectly visible from the street! If you would like to find out more about the options for your company then feel free to contact us!